With the onset of summers two things happen: One, relatively boring vegetables take over from the lush green winter basket and Two, the appetite whips up for only simple, ‘cool’ and non spicy food. Therefore, I bring to you a nice breakaway option from the usually boring dal, bhindi and roti to something simple yet tasty! 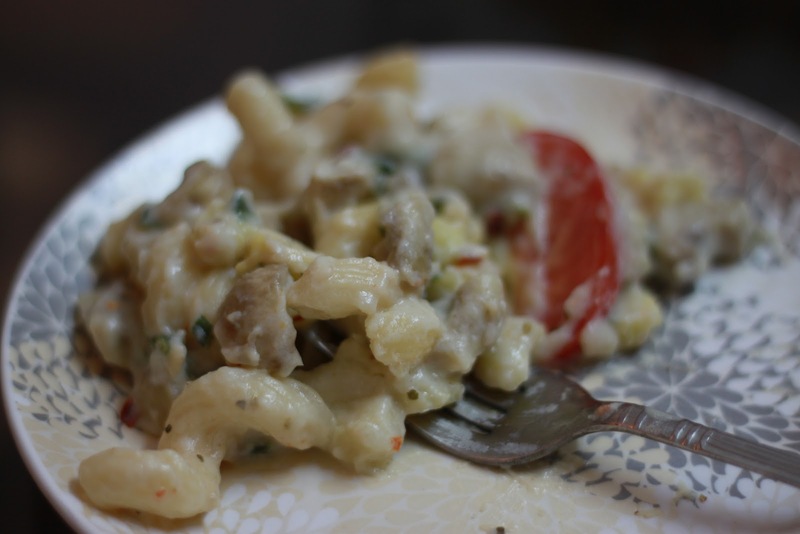 Macaroni cooked in white sauce with some vegetables is one of my preferred dinner choices. It’s a easy to make and tastes well.